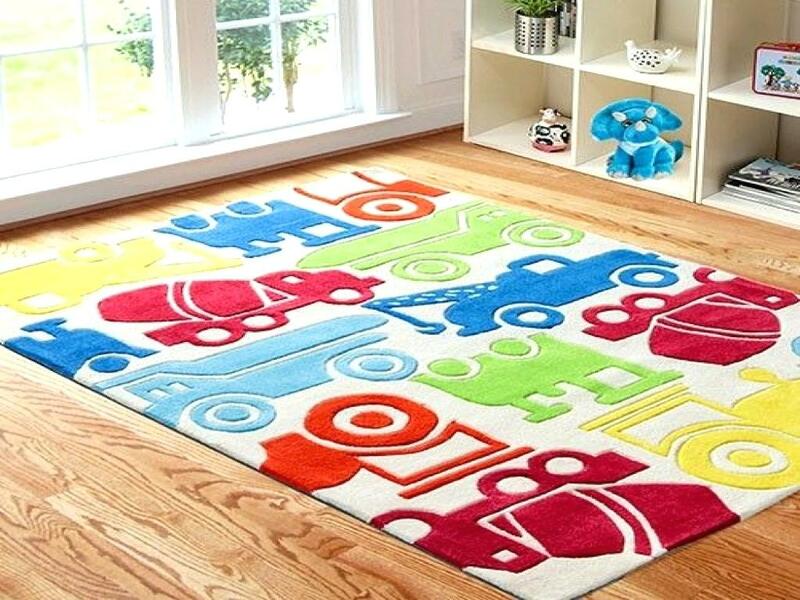 Trains, toy cars and engines are quintessential childhood toys, and this colorful area rug is the perfect culmination of them all. The colorful designs atop the white backdrop make for a fun, quirky design that every kid would definitely love. And the almost abstract execution makes this particular rug an excellent centerpiece and focal area for most kids’ bedroom interior designs. This cute area rug is perfect for a small girl’s bedroom interior. It features a distinct design that is both literal and abstract at the same time. The color is extremely attractive and the colorful characters on top provide a great visual contrast that makes this rug the perfect centerpiece. You can spread it out in the middle of the room and accompany it with a small toy shelf and a beanbag to the side. Sports inspired children rugs are definitely a specialty. 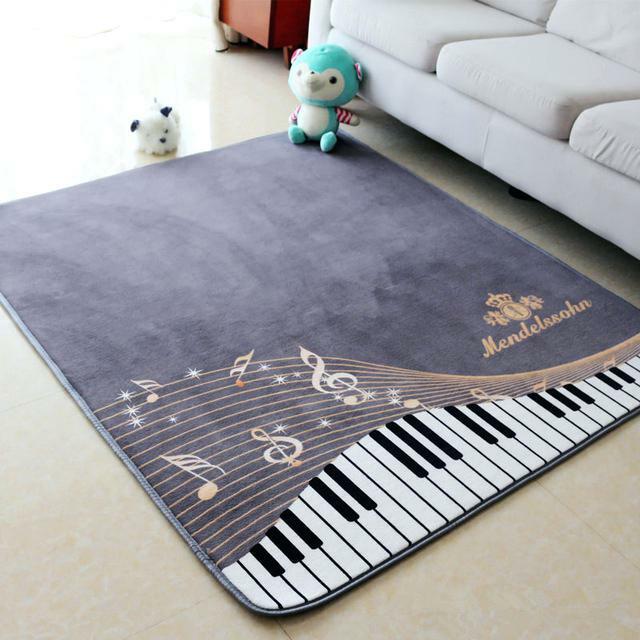 For any kid who is a fan of a certain game, you can find a matching rug for their room. 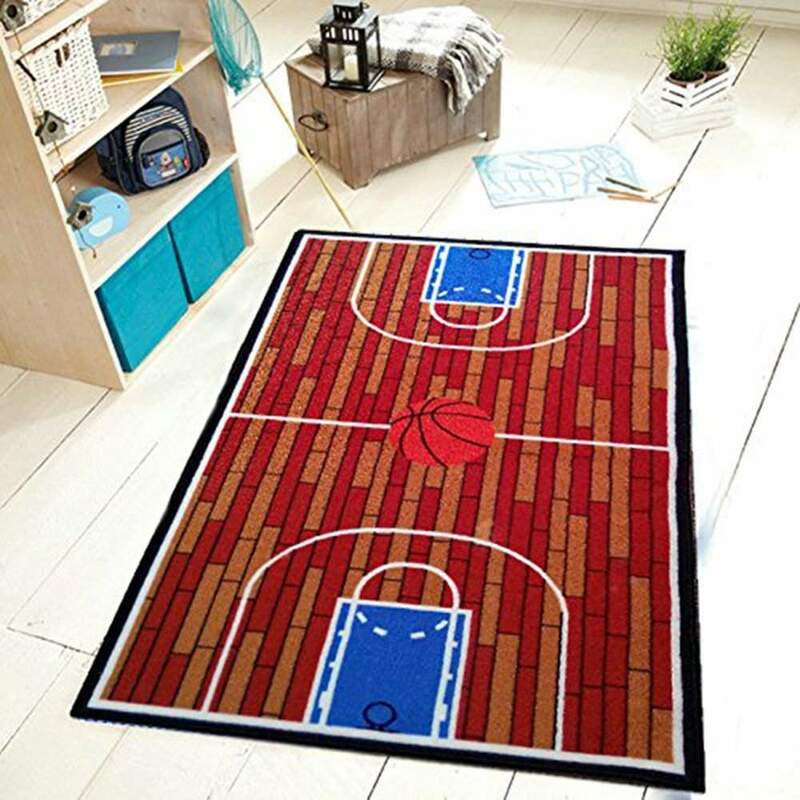 This basketball inspired area rug can be spread out in the center of your kid’s room where they can dribble the ball and shoot hoops to their hearts content. It’s a great choice for kids who love outdoor games but are too introverted to participate in any. Hopscotch used to be one of the most beloved childhood game for most millennial’s. Kids used to gather around in streets, draw out their own hopscotch game on the sidewalks and play to their hearts content. Now you can do the same for your own kids by teaching them how to play it through an area rug. 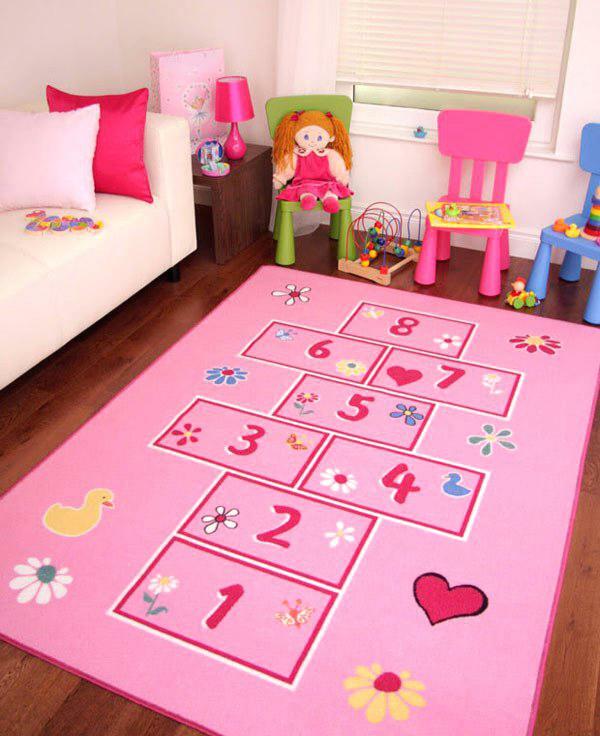 The hopscotch rug can become the focal area of your kid’s room, where they can play this game to their hearts content. This abstract, colorful area rug is definitely something different. It’s an imaginative design that would be the perfect centerpiece for a kids’ room. Its design is impressionable and unique, and you can bet that your kids would love to sit atop it and enjoy some fun activities. It’s large in size so you can spread it out at the foot of the bed. You can also make it a centerpiece amidst a large sitting area with bean bags and comfy chairs situated around it. Or you can do a combination of both ideas like in this image. This abstract, artsy area rug is the perfect choice for children who love to draw and think out of the box. Its colorful patterning and non-conformist design allows the kids to subconsciously think beyond their limits. It would also provide a nice, colorful aesthetic to a whimsically designed kids’ bedroom. You can arrange for this kind of a rug to act as an individual sitting area, or just spread it out in the center of the room. The superhero theme is always a tried and true beloved one. Children love looking up to these superhuman characters, which inspires a want for themed paraphernalia. 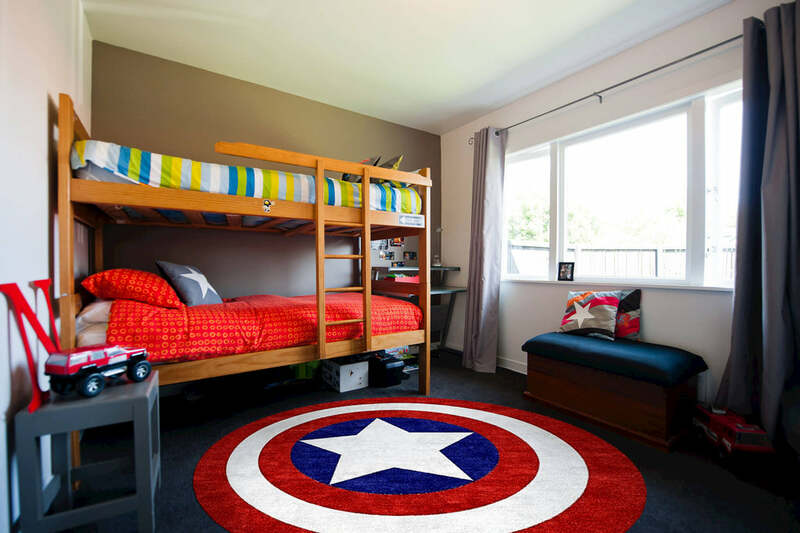 This Captain America themed area rug is the perfect choice for any kid who is obsessed with the Marvel Universe. It features the iconic star spangled shield design that Captain America totes around with his character. It can be spread out in the center of the room where the kids can play around and about it. If you ever thought that area rugs could not be whimsical then think again. This beautiful soft grey children’s rug features a simple but magical design. The flowing keynotes and the piano are the perfect way to inspire your kid to imagine things out of the box. You can set it up in a small nook of your child’s bedroom, or even make it a centerpiece where the kids can just sit down, draw some art, play with their toys and just while about. 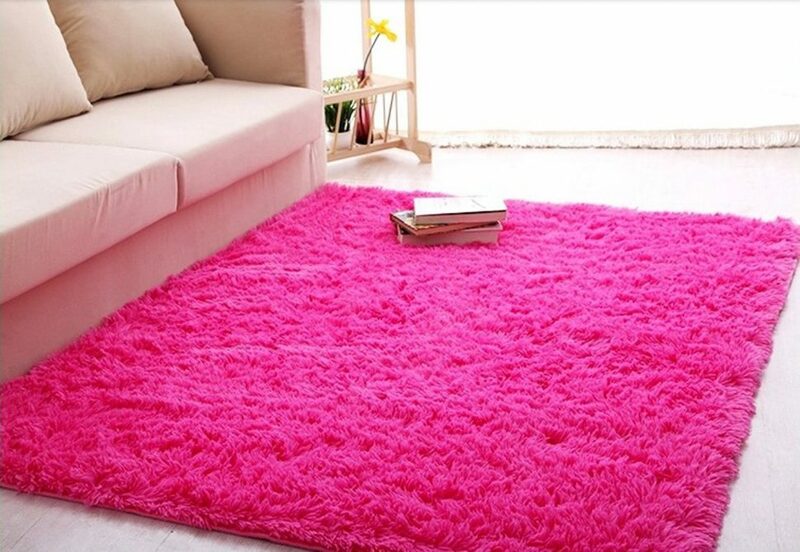 Shag rugs are the most stylish, soft and comfortable form of area rugs you can find in the market. They usually tend to complement all kinds of design, but if you’re looking for one specifically for your kids’ bedroom then this pink colored one is an excellent choice. It provides a nice, soft surface to break a fall, is perfect for sitting or lying down on, and would make the ultimate play-date area. You can buy these in various colors and designs, and set them up either in the center or in a periphery sitting area of your child’s bedroom. 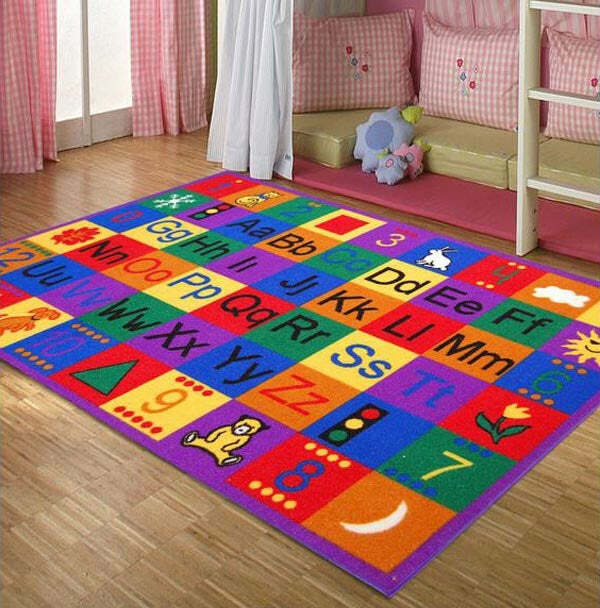 The rug you choose for your kids’ room can also serve a fun learning experience. This image shows a fun, colorful area rug that is not only brilliant to look at, but also offers a cute alphabetical design. You can use it to teach your toddler the alphabet and teach him how to recognize signs, symbol and numbers. It’s an excellent design that boasts the best pragmatic and visual qualities. You’ll definitely have tons of fun teaching moments with this one. So these are a few kids’ room rugs that you can decorate your munchkin’s bedroom with. This list features a diverse collection and you can choose an idea according to the interests and gender of your child.